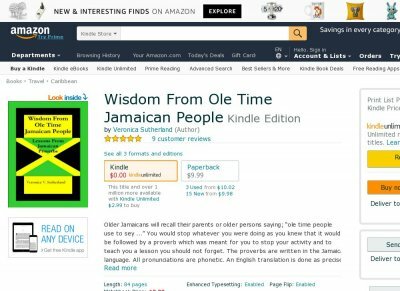 Older Jamaicans will recall their parents or older persons saying ole time people use to sey ... You would stop whatever you were doing as you knew that it would be followed by a proverb which was meant for you to stop your activity and to teach you a lesson you should not forget. 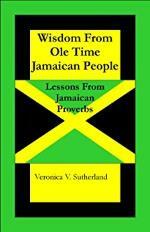 The proverbs are written in the Jamaican language. All pronunciations are phonetic. An English translation is done as precisely as possible, followed by the meaning of the proverb. Veronica has attempted to give a brief insight into the lessons that may be learnt from these proverbs. She completes each with an action step you can take to cement these lessons in your lives.